The U.N.O. 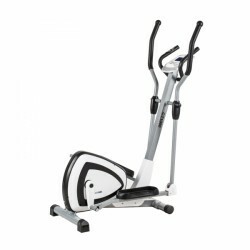 elliptical cross trainer CT1000 is a beginner equipment and is equiped with an electronically controlled magnetic brake. This elliptical cross trainer offers a challenging and varied training with a resistance of up to 400 Watt and 24 training programmes. The LCD display is easy to use and offers all required training parameters. The U.N.O. Fitness elliptical cross trainer CT 400 is a beginner model for users, who want to start their fitness training. The magnetic brake can be manually adjusted in eight levels and offers a reasonable resistance. Display and use are functional and easy and offer space for all required information. Elliptical cross trainers of U.N.O. stand out from the mass by first-class workmanship and training features. The elliptical cross trainers of U.N.O. make a wide-range, effective whole body training at home possible. Due to the combination of leg movement and upper body training, elliptical cross trainers offer a 25 % higher calories consumption than the training on an indoor cycle or exercise bike. The U.N.O. elliptical cross trainer also benefit from the advantage of this whole body training. The training on the elliptical cross trainers of U.N.O. is extremely effective and makes a lot fun thanks to the excellent equipment and workmanship of the elliptical cross trainers. U.N.O. offers a wide range of first-class elliptical cross trainers with elliptical course of motion. High demands are also fulfilled by the XE series of the U.N.O. elliptical cross trainers. 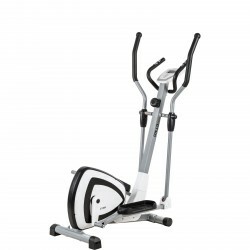 The professional elliptical cross trainers even offer commercial quality. The top model, the elliptical cross trainer U.N.O. 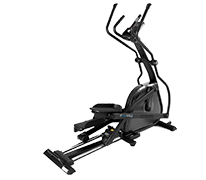 XE6000, has a full warranty of 12 months even for the use at a gym. Enjoy sports for life with U.N.O. elliptical cross trainers!